Ming Pei MD, PhD received his PhD from Beijing Medical University (now Peking University Health Science Center) in 1999. He worked as an Orthopaedic Resident at the Department of Orthopaedics at Huaiyin Second People’s Hospital from 1991-1993 and at the Department of Orthopaedics at Shanghai Zhongshan Hospital from 1993-1996 (Chief Resident from 1995-1996). Dr. Pei trained as a Postdoctoral Associate in cartilage tissue engineering at the Harvard-MIT Division of Health Sciences and Technology (HST) from 1999-2002 (under the supervision of Drs. Lisa Freed and Gordana Vunjak-Novakovic in Bob Langer’s Lab) and as a Research Fellow in stem cell and cartilage regeneration at the Department of Orthopaedics, Brown University from 2002-2005. He was a tenure-track Assistant Professor from 2005-2011 and was tenured as an Associate Professor in 2011 and Professor in 2017 at the Department of Orthopaedics, West Virginia University (WVU). Dr. Pei is also an Adjunct Professor in both the Division of Exercise Physiology and Mechanical and Aerospace Engineering at WVU. 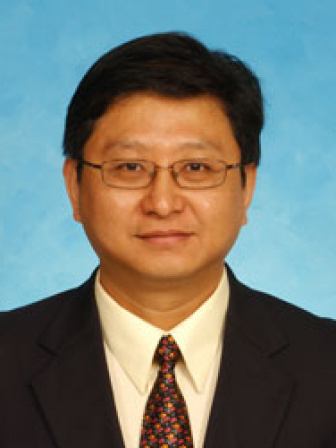 Dr. Pei’s research interests include (1) cartilage, bone, intervertebral disc, and meniscus tissue engineering and regeneration; (2) adult stem cell proliferation and differentiation; (3) decellularized extracellular matrix (dECM) and reconstruction of an in vitro 3D microenvironment; and (4) chondrogenic, osteogenic, and adipogenic signaling pathways and epigenetic regulation. In recent years, he focuses on the investigation of tissue-specific stem cells and dECM on cartilage regeneration. The findings from his laboratory indicate tissue-specific stem cells’ superiority in lineage-specific differentiation, providing the evidence to support that synovium-derived stem cells (SDSCs) are a tissue-specific stem cell for chondrogenesis. Another major finding is that dECM deposited by SDSCs can serve as a promising and novel cell expansion system for cartilage tissue engineering, not only enhancing stem cell proliferation but also promoting expanded cell chondrogenic potential instead of (or even against) hypertrophy. dECM expanded SDSCs exhibited an enhanced anti-oxidant and anti-inflammatory capacity, suggestive of its potential application for the repair of cartilage defects in osteoarthritic patients. The dECM approach combined with SDSCs may provide a novel and promising strategy to overcome replicative senescence and chondrogenic hypertrophy, which are hurdles for adult stem cell-based cartilage regeneration.